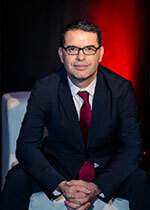 Professor Pierre-Majorique Leger is a researcher, inventor and entrepreneur. His research seeks to improve the user experience (UX) while learning or using information technology (IT). He does this by analyzing massive amounts of bio-physiological data that are generated during human-IT interactions (HCI), which allow him to qualify emotion and cognitive responses in users. He is a Professor of IT at HEC Montréal, as well as a Guest Professor at the prestigious Tuck School of Business, Dartmouth College and the Henry B. Tippe School of Management at the University of Iowa. He is the author of over 50 scientific articles, he holds at least ten invention patents and has also been involved with several start-ups.